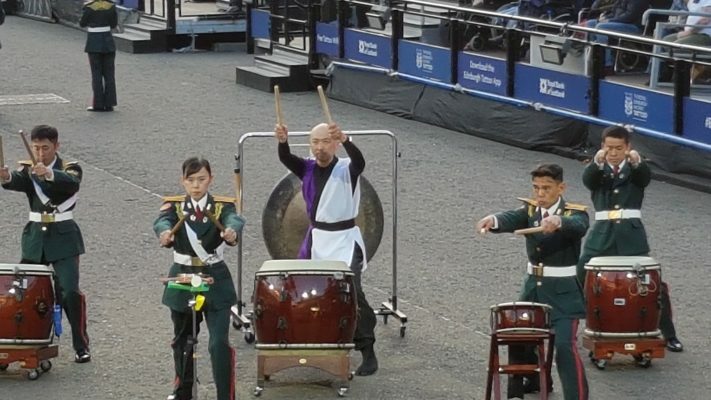 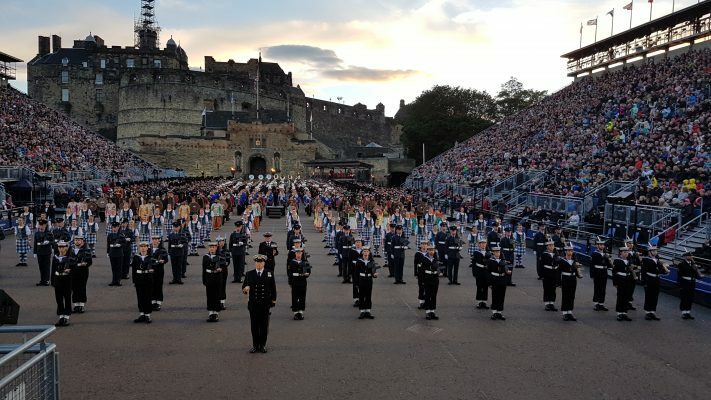 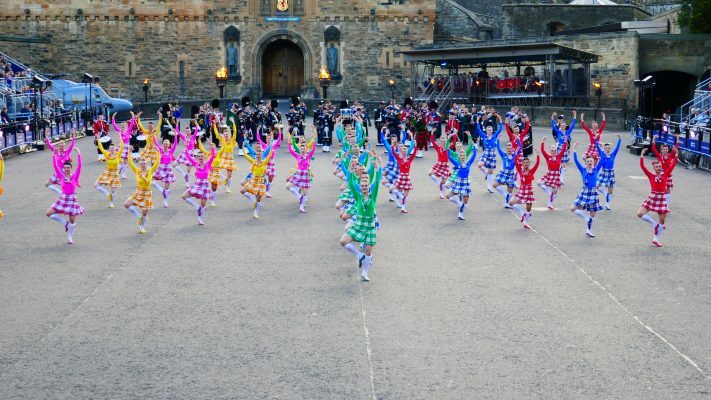 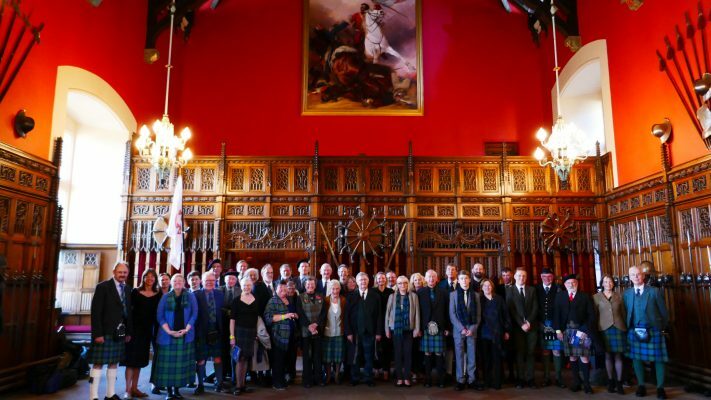 The organisers of the Edinburgh Military Tattoo invited a number of Clan Chiefs to take the salute from the guard of honour at each performance of the Tattoo during the 2017 season and we were delighted that our Chief , Iain Gunn of Gunn, had been asked and agreed to do this on Saturday the 5th August at the 7:30 pm performance. 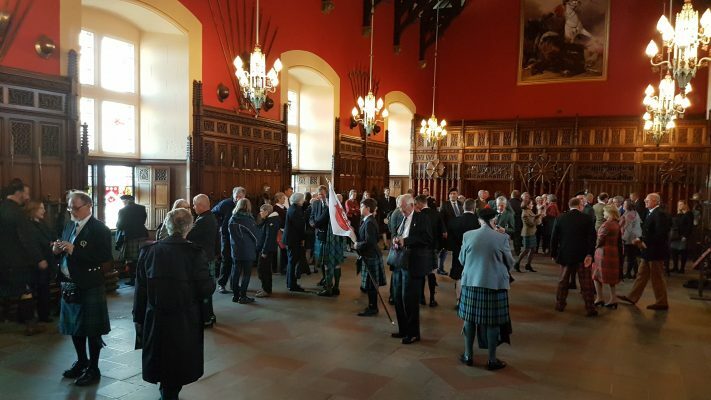 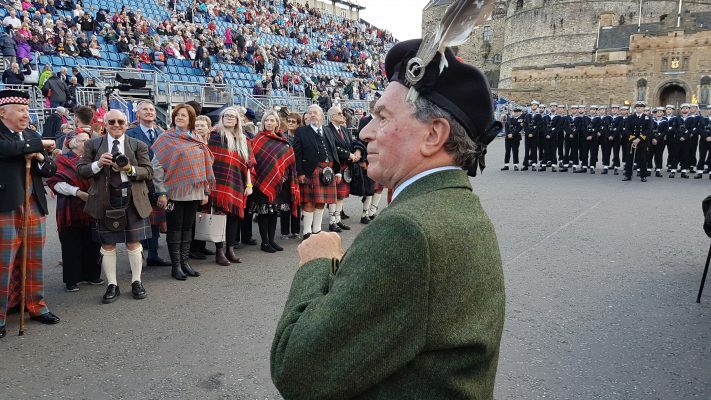 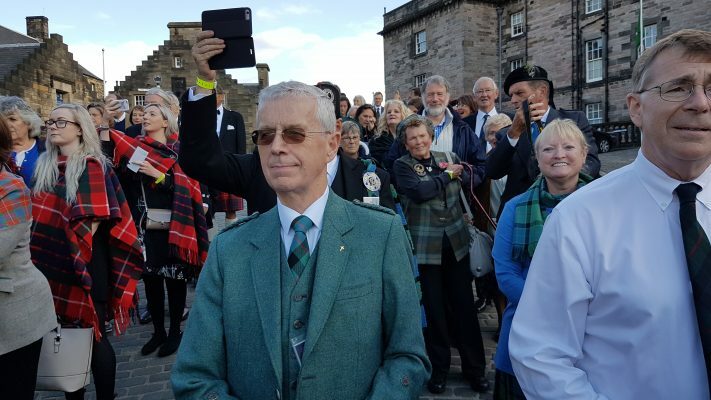 The organisers encouraged as many Clansmen and Clanswomen as possible to join the performance and add a “splash of tartan” to the audience and we were delighted that well over 50 “Gunns” made the trip to Edinburgh and enjoyed taking part in the march under the watchful (and slightly intimidating!) 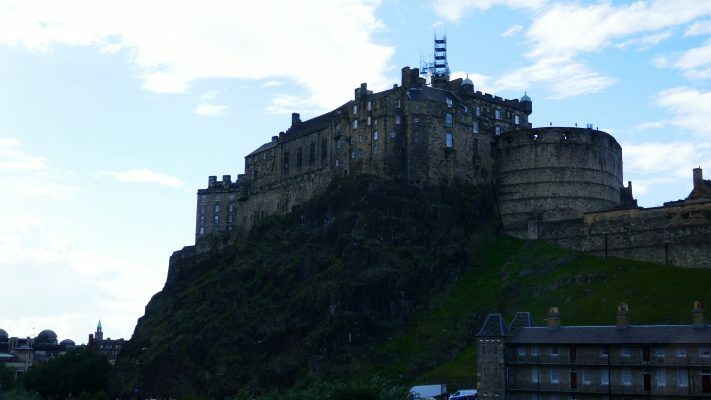 eye of a Sargant Major. 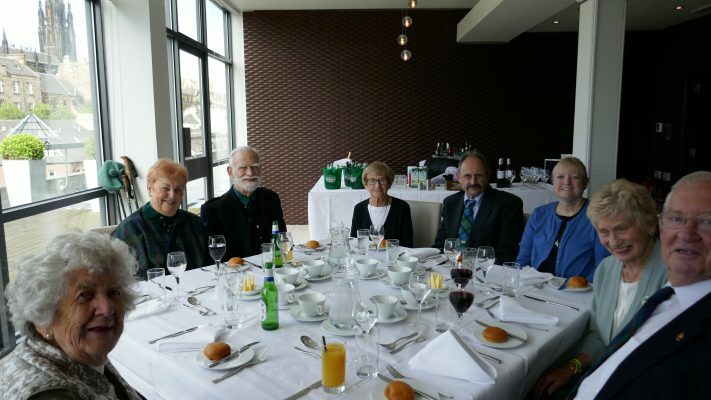 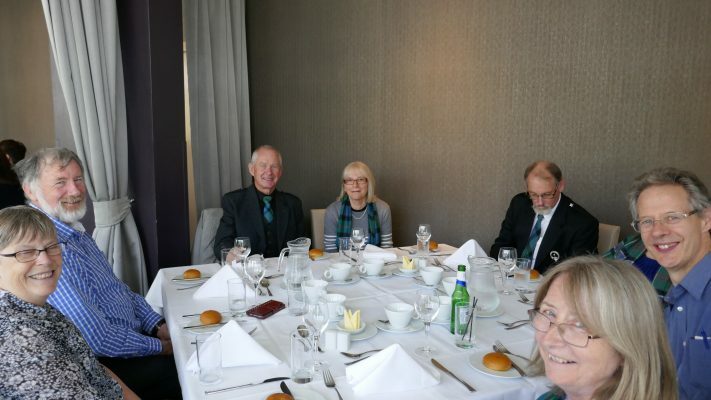 Prior to the performance we held the Clan Gunn Society’s AGM followed by a high tea/early supper in the Apex hotel prior to the tattoo. 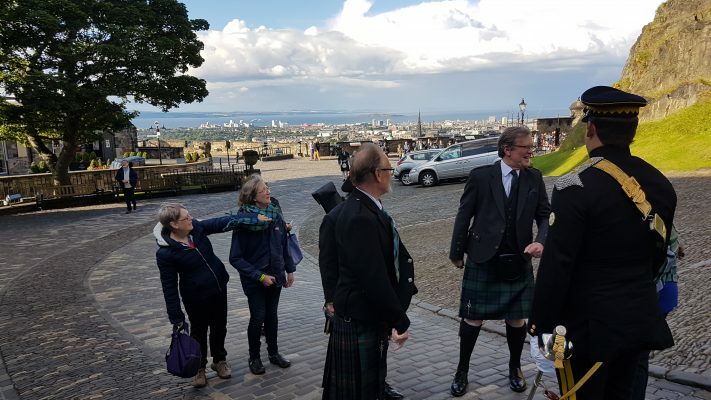 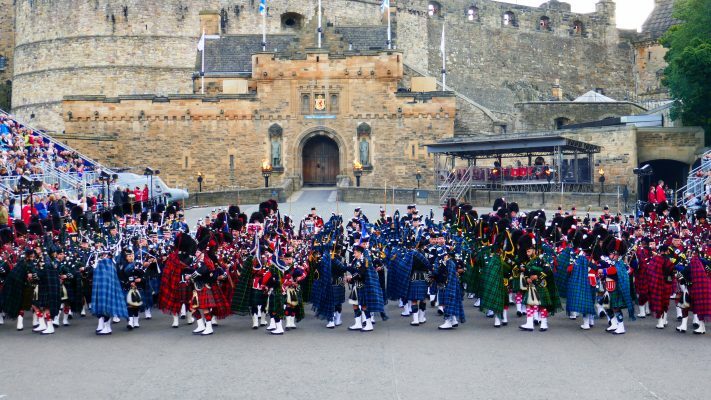 We had sole use of the Heights Restaurant with a wonderful view of Edinburgh Castle and following the meal we headed up to the castle for the tattoo. 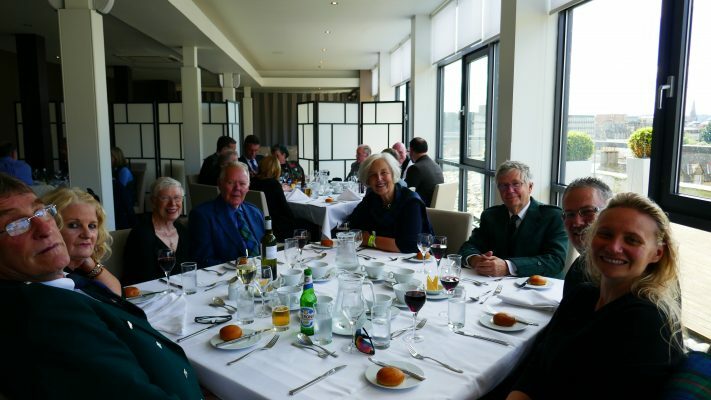 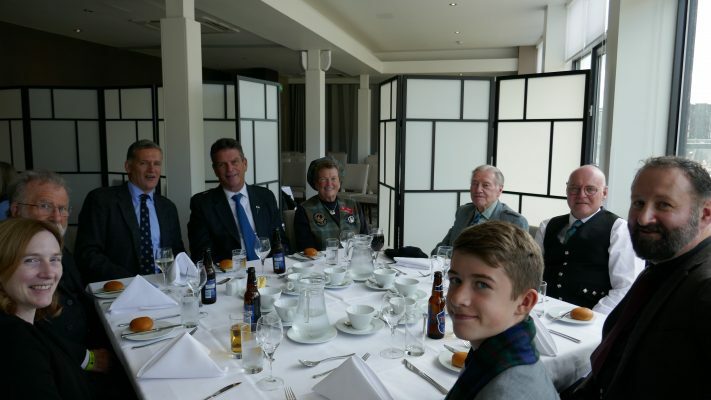 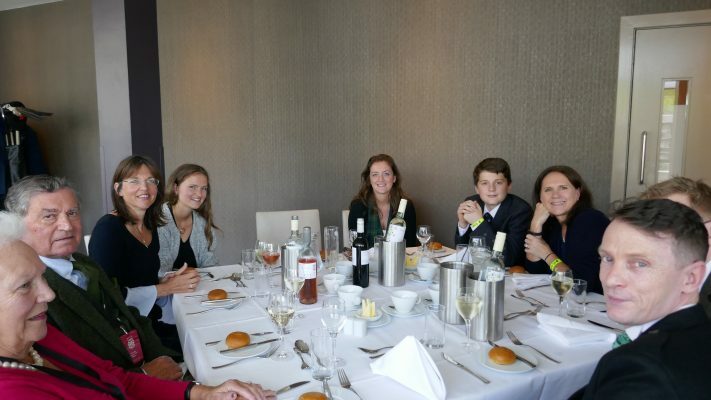 The following day we enjoyed Sunday lunch at the Raeburn Hotel in Stockbridge with the opportunity to mull over the events of the previous night and say our goodbyes.